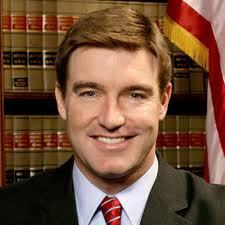 FRANKFORT, Ky. (Legal Newsline) -- Kentucky Attorney General Jack Conway said this week his office is in the process of going over documents provided by a for-profit college, in response to a subpoena. Conway, who is concerned about the growing industry, told The Courier-Journal Tuesday that the requested documents will help his office decide whether to move forward with plans to impose sanctions against National College. The attorney general has been seeking information from the institution since 2010. "National College has been engaged in a more than two-and-a-half-year endeavor to obstruct and delay our investigation," Conway told the newspaper. However, the college counters that it isn't trying to keep anything from Conway's office. "This litigation is not about National College and whether we violated Kentucky consumer protection laws," Steven Cotton, National College's vice president for legal and regulatory affairs, told The Courier-Journal. "It's about the attorney general's authority to issue a subpoena." According to the newspaper, the Franklin Circuit Court action is not part of another suit Conway filed in 2011 against National College over allegations that it misrepresented job placement numbers. The attorney general has filed similar lawsuits over job placement numbers against three other for-profit colleges. "I support higher education and students who seek a degree to create a better life for their families, but many times I see those dreams turn to nightmares when students fall prey to a fast sales pitch from a for-profit college with a questionable reputation," Conway said in March. "The students end up with tens of thousands of dollars in debt and no degree. This bill ensures that scarce federal education dollars will be used to serve and educate students rather than to finance advertising campaigns, recruitment operations and aggressive marketing at colleges that have placed profits ahead of student success." Conway noted that National College's responses to the subpoenas in the Franklin Circuit Court action could be used to bring more counts against it.